Up in the middle of the Idaho Panhandle near the Canadian border, Priest Lake reflects a beautiful sky and white patchy clouds as it lays peacefully below the Mountains of the Kaniksu National Forest; Watson Mountain, Lakeview Mountain, Nickelplate Mountain, Granite Mountain Bismark Mountain Reeder Mountain and Indian Mountain. The human history of this lake dates back almost 10,000 years to the end of the last ice age. After the vast glaciers that covered most of the area receded and vegetation started to re-grow, prehistoric humans started to resettle the area, as is evident from historical artifacts and ancient rock art found in the area along the lake. 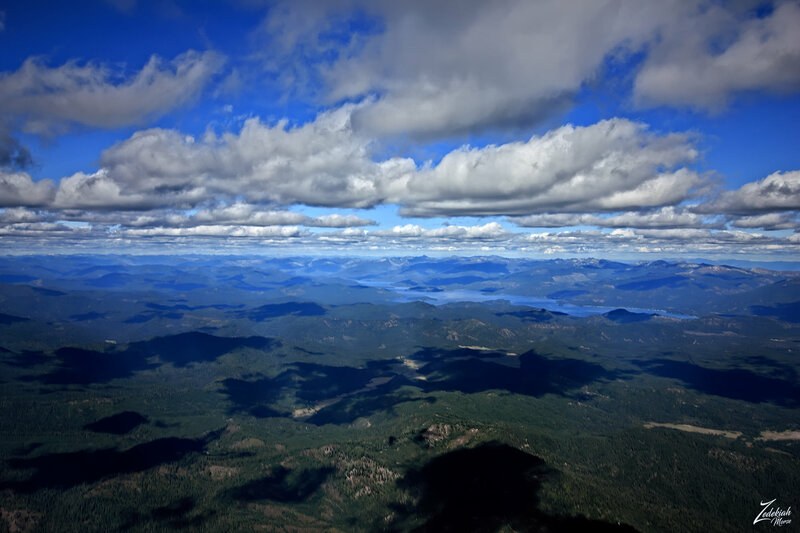 Long before the white man set foot on what is now called the Great Basin (the area around Lake Pend d’ Oreille) the land was populated by three tribes of Indians, the Kutenai, Kalispel, and the Coeur d’ Alenes. 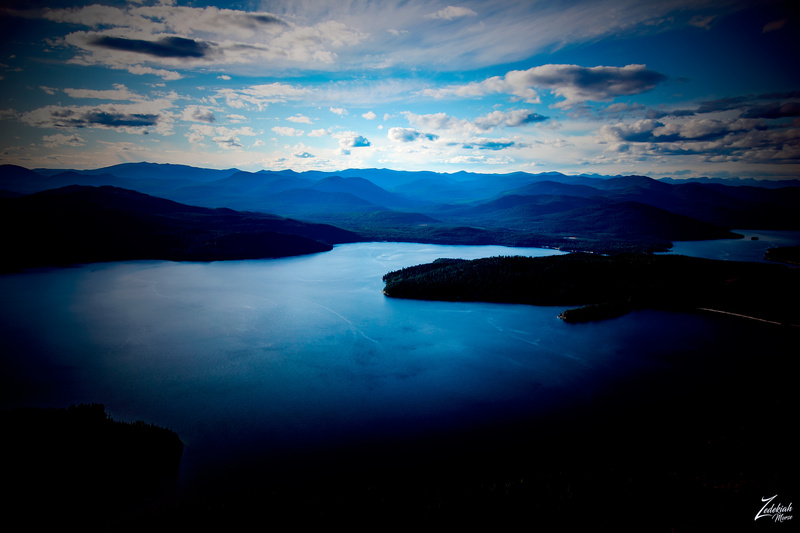 The Kalispel lived around Priest Lake (in this photo) and their territory extended into Canada, Washington, and Montana from Idaho. They lived in much smaller groups than the Kutenai and enjoyed a good relationship and traded with the Spokane, Coeur d’Alene, and Kutenai tribes. Their trading also included some Plains Indians.The hunting practices were similar to the Kutenai and there was a migration each year to The Plains to hunt Bison but to a lesser degree than did the Kutenai. The other elements of their diet was about the same as their neighbors to the north. Most of the gathering and the preparation of meat was done by the women, while the men did the fishing and hunting for the tribe. Like the Kutenai everything they used came from what they gathered or killed. Their food tools, clothes they wore, and their shelter came from the land in which they lived. The Kalispel tribal government was much like the mayor-council form of government. Their leaders had limited power and what power they had come mostly from persuasion and by setting a good example for the tribe to follow. The position of headman came by appointment of a council. The first European settlers arrived in the early 19th century. These early settlers were mainly fur trappers who quickly established trade with the native Kalispel Tribe. 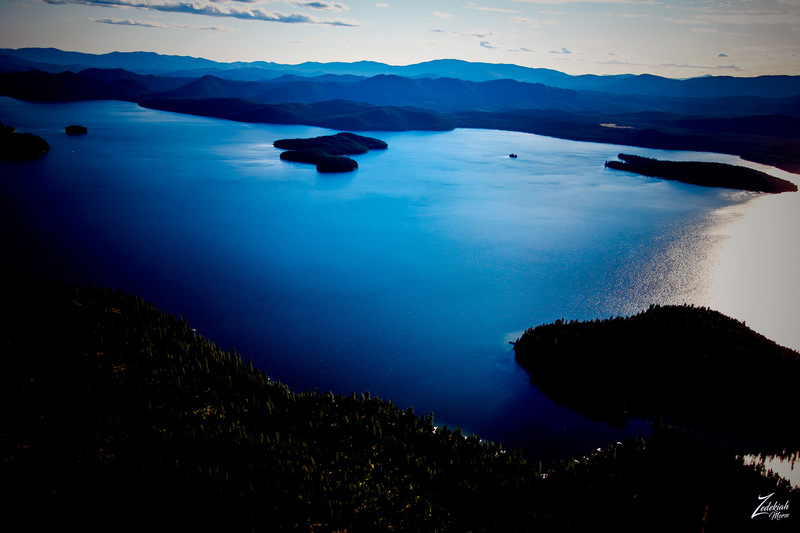 Jesuit Priests would eventually settle the lake in the 1840s and establish a base camp at Kalispell Bay. One of these priests, Father Pierre-Jean DeSmet, a native Belgian who had escaped from European persecution and became the most trusted of the white men among the Western Native Americans, named the lake Roothaan Lake for one of his superiors in Rome. The name would not stick though and in 1865 Captain John Mullan, a U.S. Army Captain was traveling through the area under orders to build the “Mullan Trail” from Walla Walla, Washington to Fort Benton, Montana. This was after the discovery of silver in the central Idaho mountains along what today is the route of Interstate 90. Captain Mullan renamed the lake to “Kaniksu”, believed to be the native word for “black robe” and because of the Jesuit presence, the lake was later named Priest Lake. 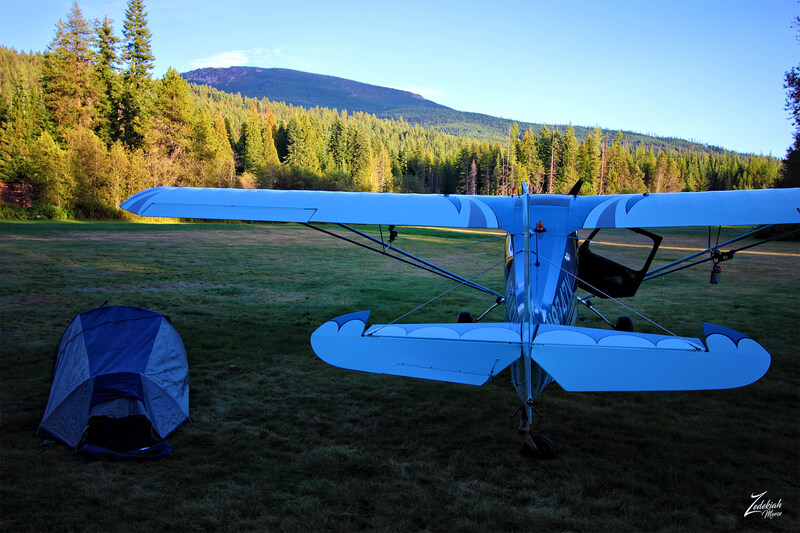 In this image below, this is my campsite when visiting the lake for a short weekend journey to explore and film the area.